Be ye from the States or from across the globe, there is a good chance you are familiar with Charles M. Schulz and his adorable Peanuts characters. Like my post about the Ctrl z cards, I am going to keep this as brief as possible, since I merely want to announce the arrival of adorable Charlie Brown envelopes and boxes at the United States Post Office. Did you hear that? 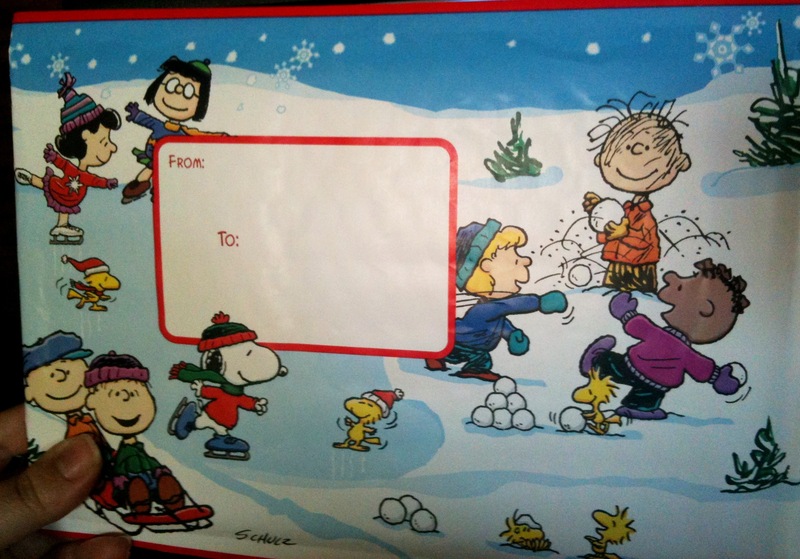 Charlie Brown/Peanuts envelopes. At your local post office. Get yours before they sell the hell out! Anyhow, because my boyfriend and I are such enormous fans, I picked up an empty envelope the other day when I was mailing something else, just to take it home with me. I am sure the woman behind the counter thought I was a curious person. Yet, whoever is the recipient of this small mailing envelope (and they come in a large size and also hard boxes that you put together in the post office!) is a special person indeed, since I wouldn’t grace just anybody’s household with it. 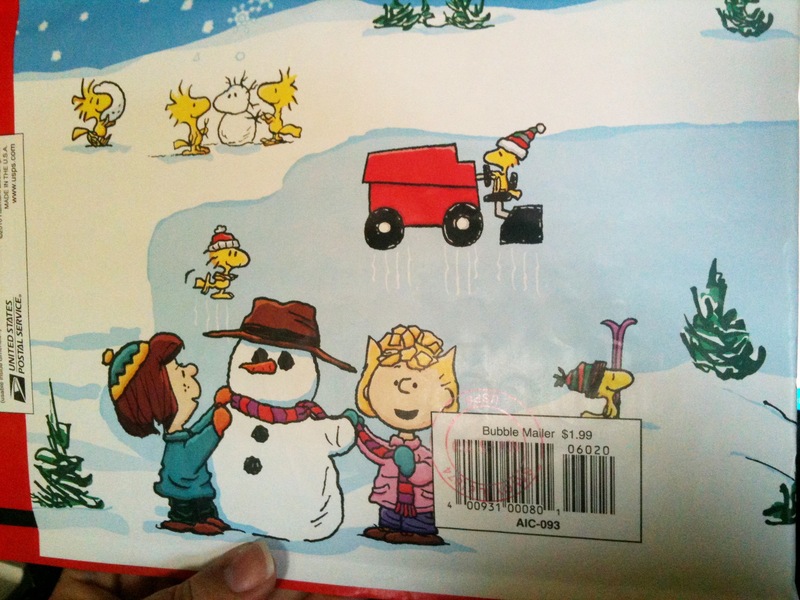 Clearly the USPS likes promoting adorable, witty characters, and so they have graced us with Peanuts mailing supplies this holiday season. I can’t say I blame ’em. Update: As of December 20, these were sold out at my local post office! Love, love, love, love LOVE THIS! As always, I appreciate your avid support!